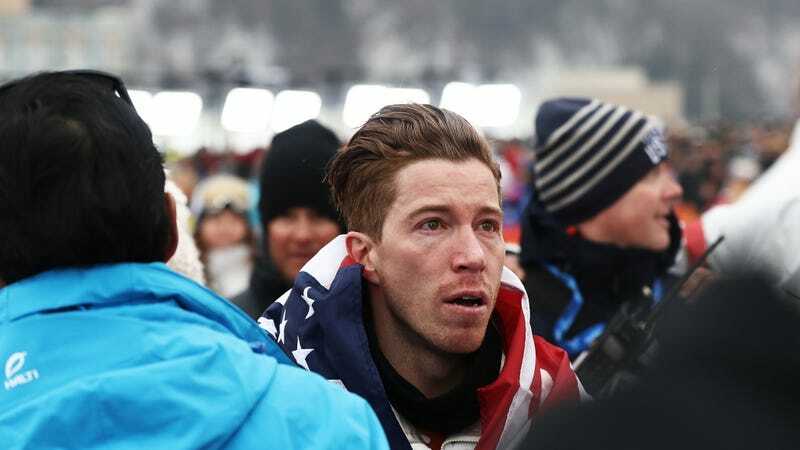 Before snowboarder Shaun White won gold at the 2018 Winter Olympics in PyeongChang, South Korea, he was in a band called Bad Things. (Sorry, too on the nose? You can’t make this stuff up.) In 2016, he was sued by the band’s drummer, Lena Zawaideh, for sexual harassment. Even though they reached a settlement in May of that year (the details of which are undisclosed), the case has come back up into conversation—and it’s increasingly clear that almost no one knows how to handle it. At a press junket on Wednesday, White was asked by ABC News’ Matt Gutman whether he was concerned that Zawaideh’s allegations against him would tarnish his legacy. He answered: “You know, honestly, [I’m] here to talk to the Olympics, not, you know, gossip. But I don’t think so. I am who I am. And I’m proud of who I am, and my friends love me and vouch for me, and I think that stands on its own.” Gutman tried to follow up, asking White if he believes Zawaideh’s allegations are gossip, but the moderator interjected and asked that the mic be passed to other reporters. Zawaideh’s lawyer, Lawrance Bohm, issued a statement following White’s remarks, saying that they “directly impugn the character of Ms. Zawaideh. No woman wants to be called a ‘gossip’ or a liar by the harasser.” Elsewhere in the statement, Bohm says, “There are powerful forces at play which prevent Ms. Zawaideh from speaking about the allegations and ultimate outcome of the sexual harassment case,” and that her client “believed that this matter was in the past” until White’s remark in PyeongChang. We will update this story as new information becomes available.